Canadians could be paying less for cheese and yogurt after the Canadian Dairy Commission announced it is reducing the price of skim milk powder beginning in March. The CDC sets limits on the total amount of milk products that can be produced, and issues "support prices" at which it would be willing to buy different dairy prices. That&apos;s designed to ensure supply and keep consumer prices in a range. The dairy commission is dropping the support price on skim milk by about 16 cents. “We are optimistic that this price reduction will help grow the demand for dairy products,” Randy Williamson, Chairman on the CDC, said in a statement. An association representing restaurants across Canada said the price drop could translate into cheaper prices for consumers. “This decrease helps us stop our industry’s declining use of dairy, and promote growth instead. It’s a win for everyone,” Donna Dooher, Restaurants Canada’s interim President and CEO said. But consumers won&apos;t see the benefits right away — if, at all. "Even if processors do get benefits they may not pass on savings to consumers," Sylvain Charlebois, a food policy and distribution specialist from the University of Guelph said. 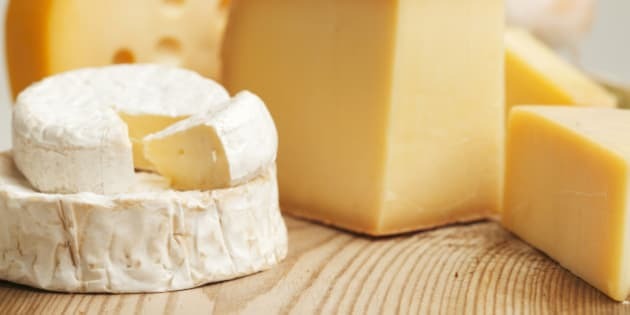 The timing of dairy commission&apos;s decision to lower the price comes as a potential trade agreement with Europe could send 17,000 tonnes of cheese to Canada. Cheese that won&apos;t require Canadian milk to produce. "Canadian farmers are quite concerned about that right now," he said. Charlebois is currently researching the Canadian-EU Trade Agreement (CETA) in Austria. "CETA may actually create a breach within supply management and that&apos;s probably why the CDC is a little bit concerned and wants to show supply management as it stands right now is a flexible mechanism," Charlebois said.